What is Project Sashakt and will it help clear the banking mess? The Inter-Creditor Agreement (ICA) framework, which envisages effective communication among lenders and lays down some ground rules for multiple-banking arrangements and consortium lending. With the banking sector's bad loans problem spiralling to epic proportions, public and private sector bank officials yesterday hashed out a new framework to deal with the crisis. The Inter-Creditor Agreement (ICA) framework, which envisages effective communication among lenders and lays down some ground rules for multiple-banking arrangements and consortium lending, will now be taken to boards of all the banks. PNB non-executive chairman Sunil Mehta said that it will be cleared in a couple of days and the mechanism is expected to be enforced this month itself. ICA is a part of the recently announced Project Sashakt, the five-pronged strategy to deal with non-performing assets (NPAs) recommended by the Sunil Mehta-led committee. According to The Hindu Business Line, after day-long deliberations between bank officials yesterday, Mehta told the media that the discussion had focussed on updating all participants on the new plan of action and how to strengthen banks in terms of credit capacity, credit culture and portfolio. The meeting, called by Indian Banks Association, was also attended by Finance Minister Piyush Goyal. Although ICA will be voluntary for banks, the mechanism is reportedly expected to iron out the problems faced in consortium lending, help the banks work as a team and not in silos, and remove procedural glitches to ensure timely availability of credit to enterprises. It makes sure that there is effective, good communication amongst banks and if anyone has a difference, then they will resolve it among themselves, said Mehta, adding, "The way we have constructed this is that as long as 66 per cent of the banks who have exposure, take the decision, then they will be able to take a deciding step forward with the majority supporting them". In other words, the ICA will stand if 66 per cent of the lenders in a consortium agree to it. Sharing further details, Mehta said that the ICA is a building block as "we implement various options" and that it will be a legal document and enforceable in any court of law. Citing a CEO of a private bank, the daily added that the biggest benefit flowing from an ICA is that bankers will not try to "undercut" each other and in the process lead to everyone losing. Regarding the setting of an asset management company for dealing with NPAs of over Rs 500 crore - as proposed under Project Sashakt - Mehta said the matter is being looked into and next step will be discussed in the future. 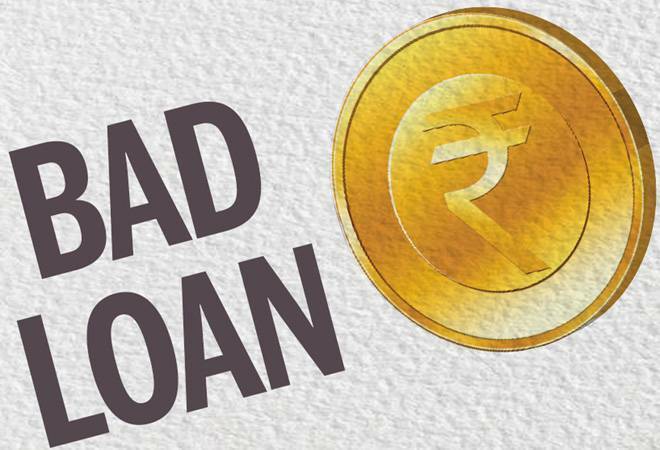 Project Sashakt comes at a time when bad loans of the 38 listed banks collectively crossed Rs 10.17 lakh crore in the March quarter, and the RBI expects the Gross NPA (GNPA) ratio of scheduled commercial banks to rise further in the current fiscal. However, as BusinessToday.In has previously pointed out, most of the Mehta committee's recommendations are largely aimed at deferring the inevitable, rather than resolving the NPA mess. For instance, for loans up to Rs 50 crore, the panel has suggested a steering committee within the bank to resolve it within 90 days. But by giving this extension for resolution, the panel has subverted the RBI's circular of February this year that mandated the banks to report a bad loan to RBI by the 91st day and plan to take it to insolvency thereafter. Surprisingly, it has even suggested giving additional loans to revive the asset. That amounts to ever-greening, just what must be avoided for NPAs. Similarly, for loans of Rs 50-500 crore, the panel has suggested another bank-led resolution within 180 days. This process already exists under the Insolvency and Bankruptcy Code. By giving another 180 days, the panel has provided a buffer to the defaulting company when their default and non-performing asset has already been recognised. So while Project Sashakt certainly provides a breather to both banks and promoters from the tough bankruptcy code, it is questionable whether it will end up making banks stronger.